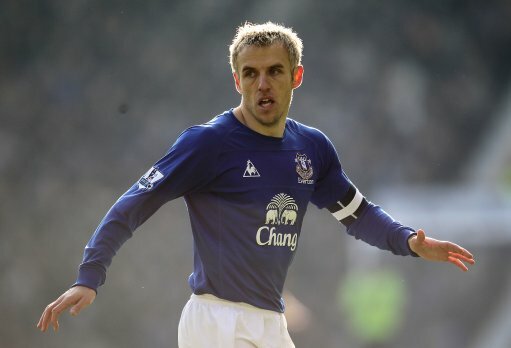 Everton manager David Moyes has lambasted Tottenham’s £500,000 deadline day offer for club captain Phil Neville as ‘surprising, insulting and disrespectful’. “We have had an offer from Tottenham of £250,000 which we received on Saturday afternoon. Then it was upped to £500,000 (£250,000 now and £250,000 paid in a year’s time) on Monday morning. I think that is insulting. “There is no reaction to an offer like that. I think an offer like that for Everton’s captain is disrespectful to the club, and I think it is a disrespectful offer for a player of Phil’s quality. “I spoke to Harry (Redknapp) on Saturday afternoon. We had a bit of banter about horses and things, then he made the bid. In summary, David Moyes is not best pleased about Spurs’ middling bid for Phil Neville. Levy thinks that just because it’s deadline, he can get a cheap deal. Like VDV. Bet he found out that Everton are NOT like those twits up in Madrid. I’m LFC through and through but I’m with Moyes on this. I thought Everton were getting a good price for the clown.